We are a husband and wife team located in Montgomery Alabama, trying to raise the best quality pet, meat and wool stock rabbits that we can, we want to provide the sweetest rabbits to the loving homes that really want them. We are currently working to improve the quality of our rabbits, so we may offer rabbits for show as well. We do not beleve that animals should be bred just because they can be, but bred to provide pets to loving nurturing homes as well as to improve the breed for future generations. It warms our hearts to see the lights in the eyes of a child with a new pet to love. in turn we do not have a heavy breeding schedule and we may not have the breed of rabbit you would like when you contact us but we will be glad to discuss our upcoming breeding schedule. Although we do not believe that rabbits are always the best pets for children. With the proper education and training given to their parents. The decision to have pet rabbits should be easier. We also believe that through education no animal should ever become unwanted and end up neglected or abandoned. We do not believe that everyone is suited to be the caretakers of the animals and if we feel that you are one of those people we will refuse the sale to you. 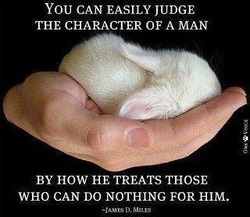 This may be do to anything from education on rabbits to them just not being the right pets for you. We fully support the efforts of the FFA and 4H clubs and if your involved with these and need non-cash assistance we may be able to help.